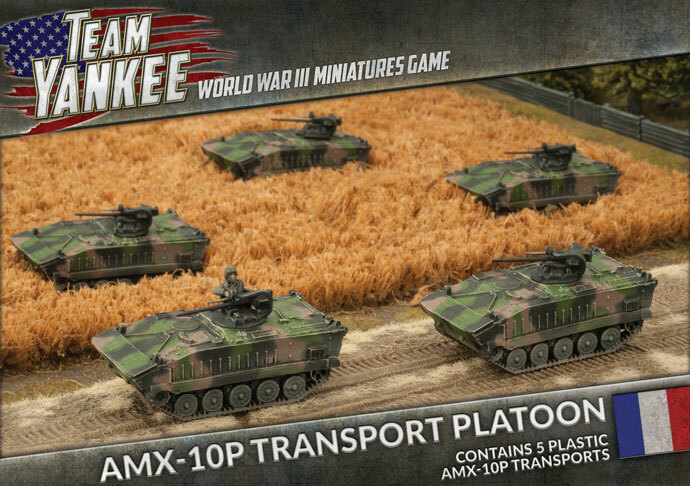 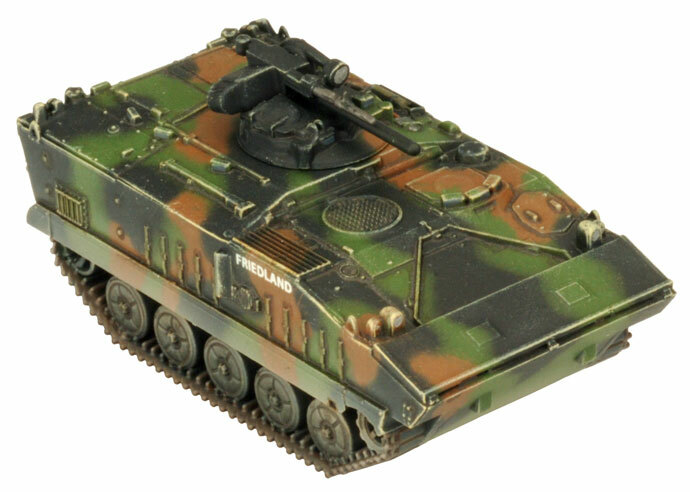 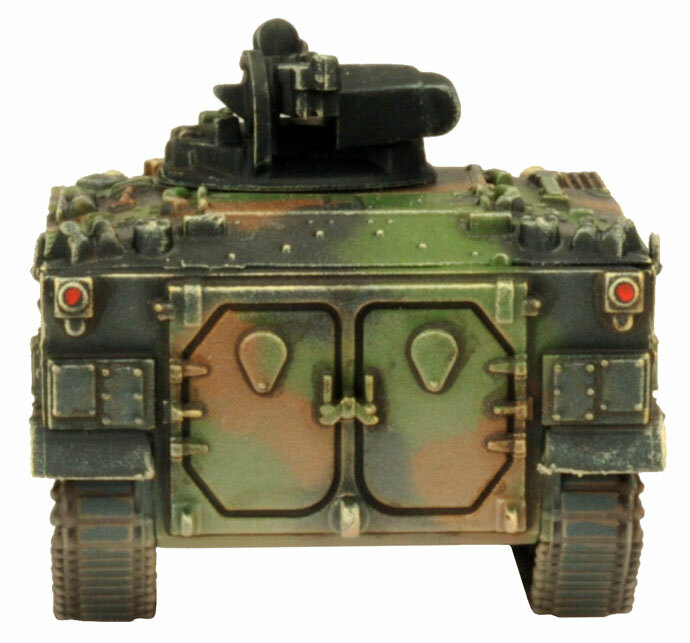 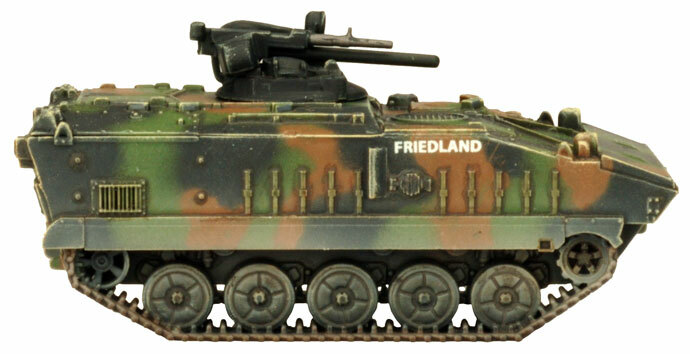 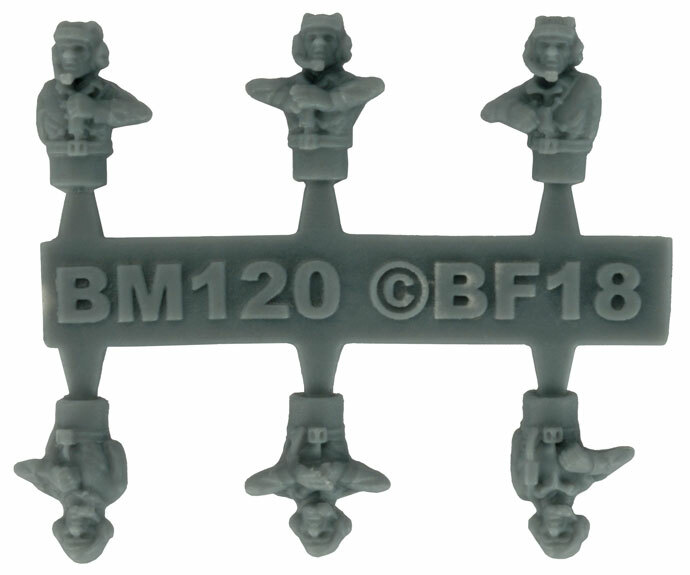 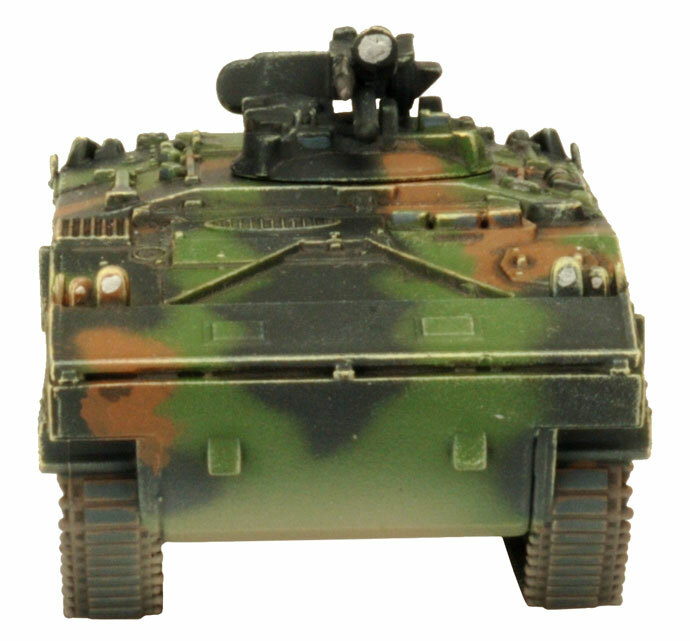 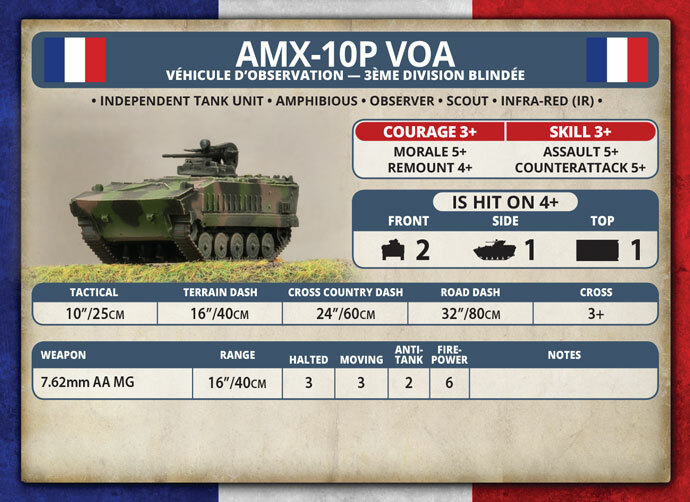 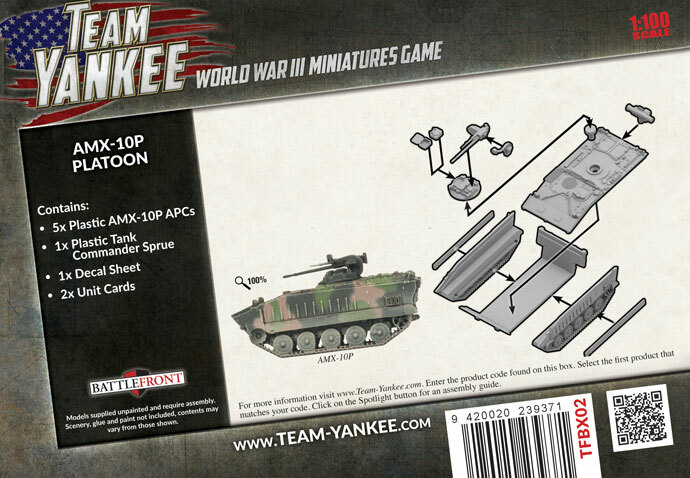 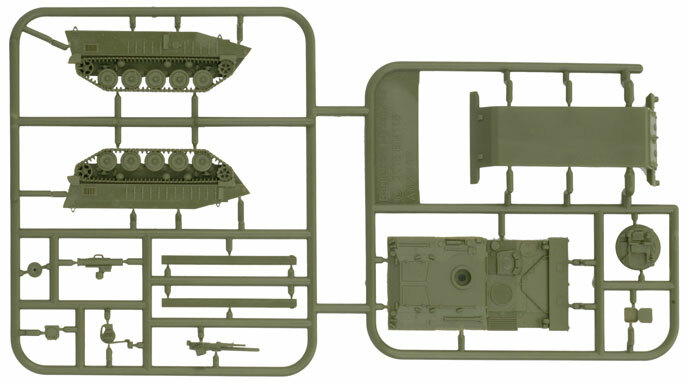 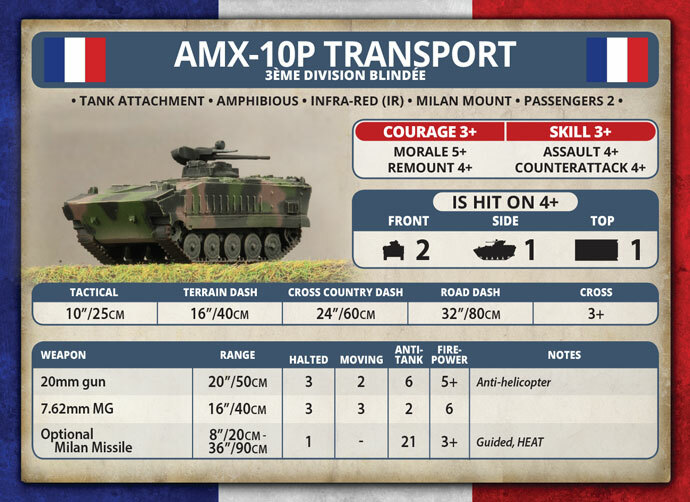 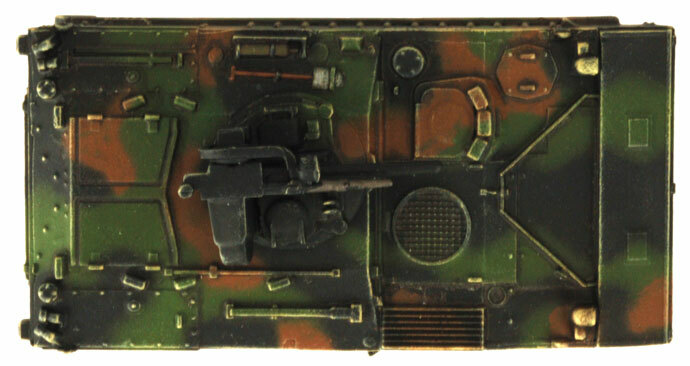 Includes five plastic AMX10P APCs, one plastic Tank Commander sprue, one Decal sheet, and two Unit cards. 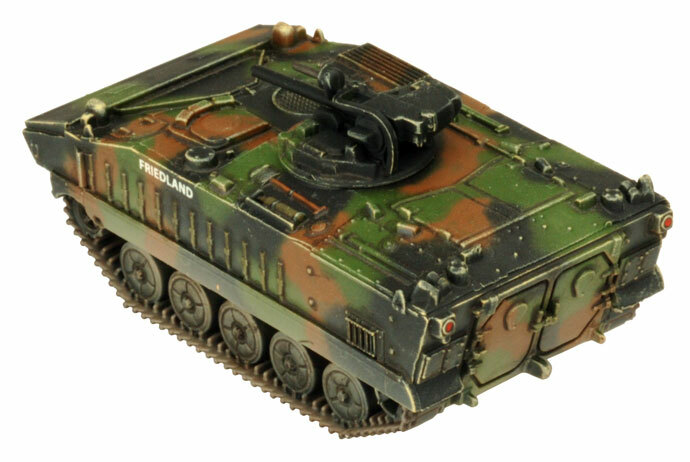 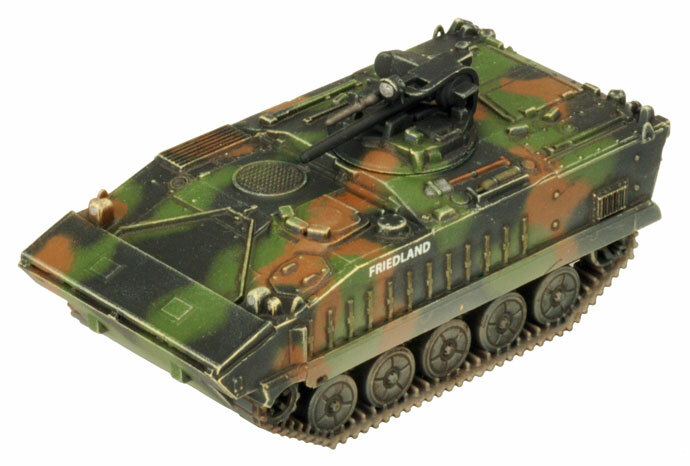 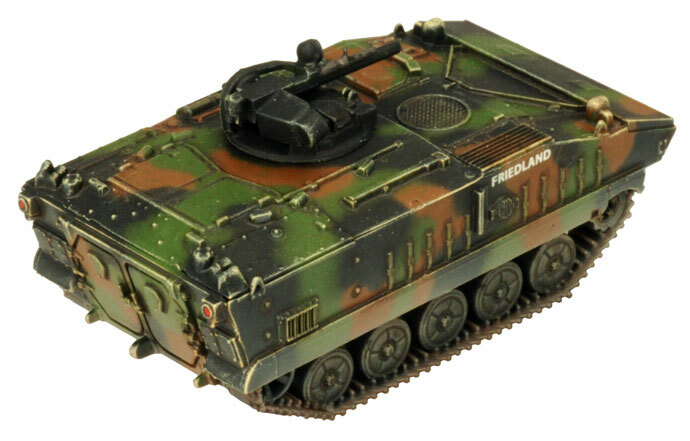 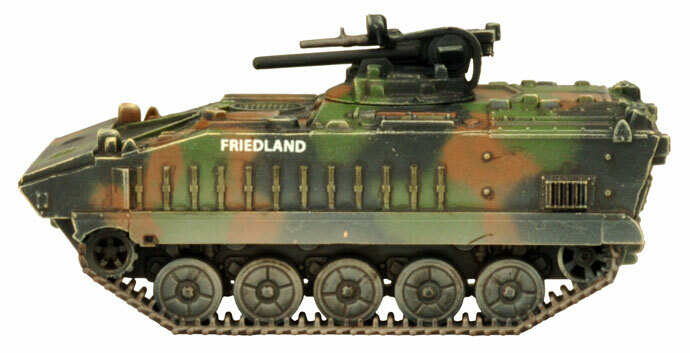 The AMX-10P is fully amphibious, armed with a 20mm F2 M693 autocannon and a 7.62mm NF1 machine-gun. 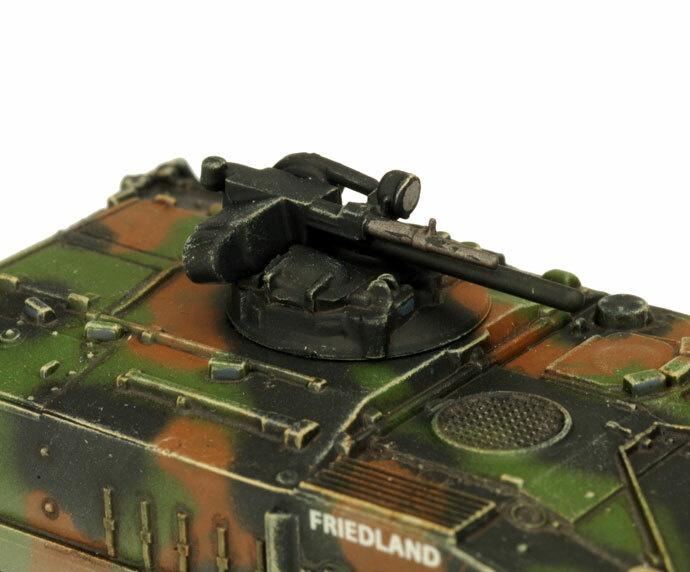 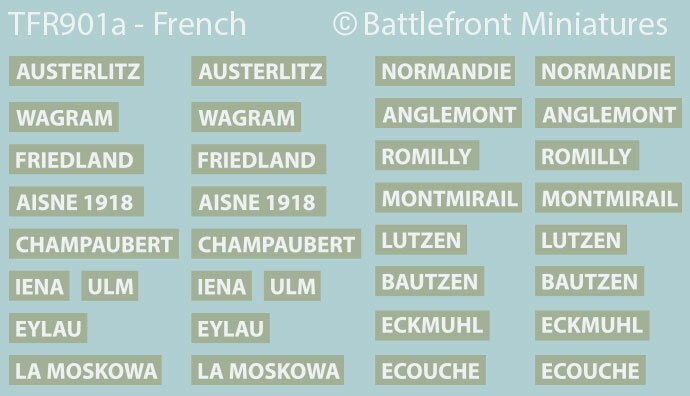 It can also optionally mount one of the Milan firing posts from a Milan team allowing it deal with both infantry and armour.